Your JJRC H37 ELFIE drone cannot connect to the phone control application? The JJRC H37 ELFIE drone WiFi signal cannot be detected by phone? Solution is here for you! With continual advances in modern technology, the RC drone is no longer just an electronic toy. Instead, drones play ever increasingly important roles in multiple industries and even in our daily life. In line with this fast paced development, we have optimized functions and exciting new features, such photo shooting, video recording, GPS positioning, automatic home return, etc. As one of the most outstanding drone manufacturers in recent years, JJRC is easily one of the hottest brands among RC drone addicts right now. This is especially true following its latest release: the awesome JJRC H37 ELFIE RC Selfie Drone. With incredible photo taking and video capture functionality, the results can be nothing short of spectacular. Just as important are the improved operation and user-friendly controls – the selfie drone can connect to any Android and iOS smartphone. 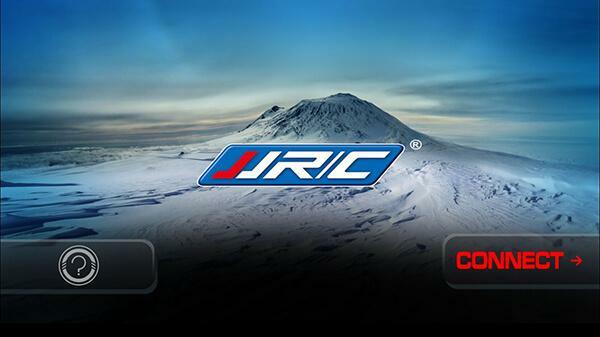 And with the dedicated JJRC App, the phone can function as a remote controller. The sky’s the limit! However, our tech support has recently received a lot of email questions regarding the App connection. 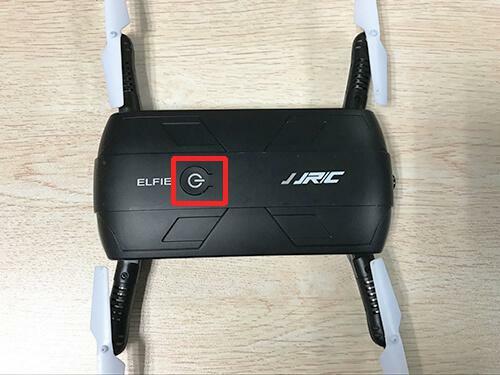 Specifically, users asked why their JJRC H37 ELFIE drone cannot connect to the phone control application, why the drone wireless signal cannot be detected by the phone, etc. In fact, these issues all share the same root cause: an incorrect connection. Start by scanning the QR code listed below that corresponds to your phone, or alternatively enter the official Apple store / Google Play store to search for the JJRC application. 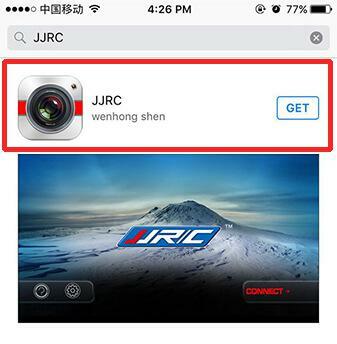 Download and install the JJRC App. Take out your new drone and turn it over to its back. Open the battery cover and insert a charged battery. Carefully attach the electric pin of the battery’s cable. Turn on the JJRC H37 ELFIE drone by pressing the Power button on the top side of the body. The colored light will flash once it has been powered on. 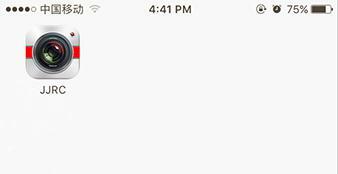 On your smartphone, enter the Settings interface, and go to WiFi option. Turn on your WiFi and select the JJRC-xxxxxx SSID to connect to the drone (no password is required). If you cannot see the SSID, just be patient and the signal will be visible. Tap the red CONNECT button to enter the main control panel. 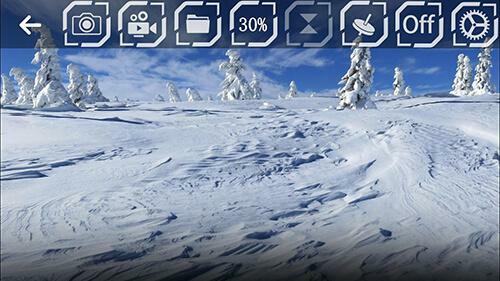 A dynamic real-time image will be transmitted from the drone to your phone screen – you’re successfully connected! 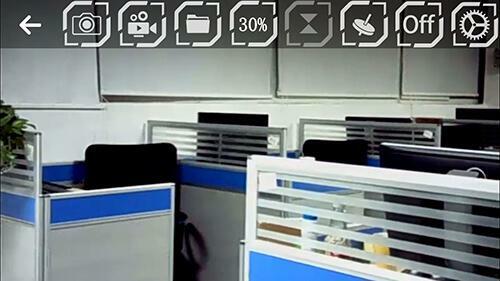 If the connection fails, the interface will display the default image as shown below. Just try again. The connection is pretty easy, right? Just 7 quick steps and the cool JJRC H37 ELFIE Selfie Drone is connected to your phone App like a pro! Now, it’s time to take your amazing drone outside, and enjoy its full potential – have a great time!